Today is day five on our west bound voyage on the Erie Canal. We left Albany on Sunday and have been making steady progress on the Canal to the tune of about 35 miles a day. 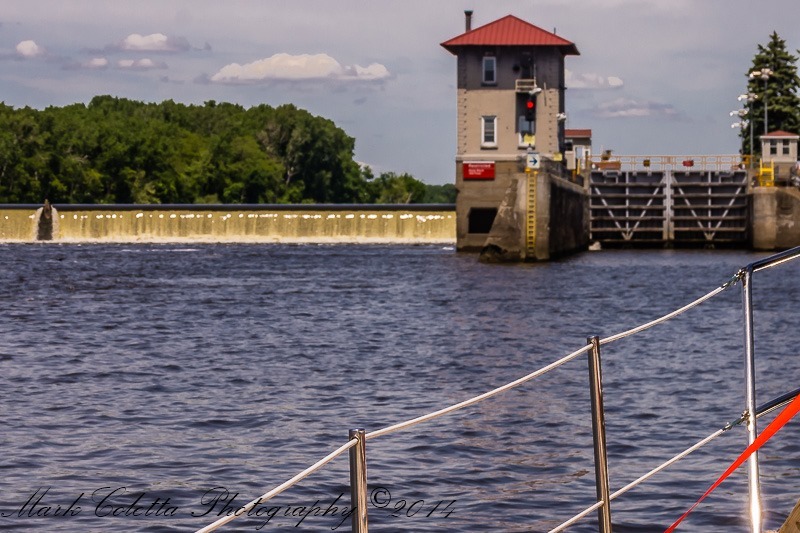 The first lock is the Troy Federal Lock which is pictured below. 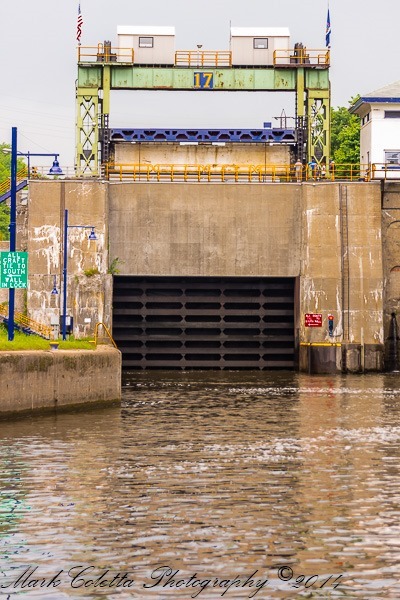 This is a typical lock that you would find on the Erie Canal, usually associated with a dam. 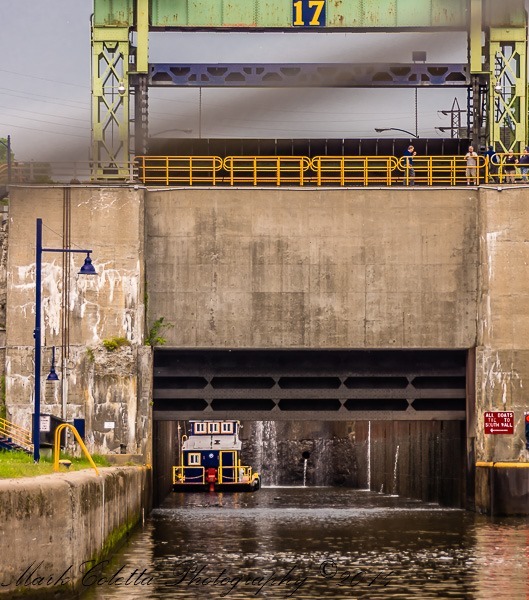 Prior to June 1st, there were parts of the Canal that were closed due to heavy rains and flooding. There are parts of the Canal that are also part of the Mohawk River and there are parts that are just manmade straight sections of canal. There was one Lock that was rather interesting, in that instead of being associated with a dam and having the typical swing open doors, this Lock had a solid door that lifted to allow entrance and was built right into the side of the hill. 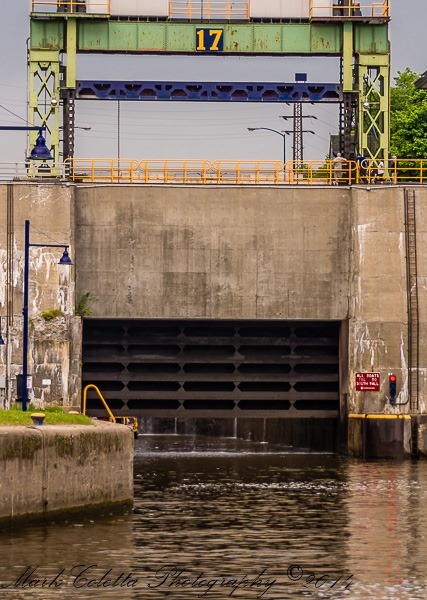 Photos of Lock 17 below. As you can see the door is massive. Yesterday we were just east of Lake Oneida, NY and there were some very shallow portions of the canal that they were dredging. We got down to one place were the water was 2.5 feet under the keel. total depth was less than 8 feet. 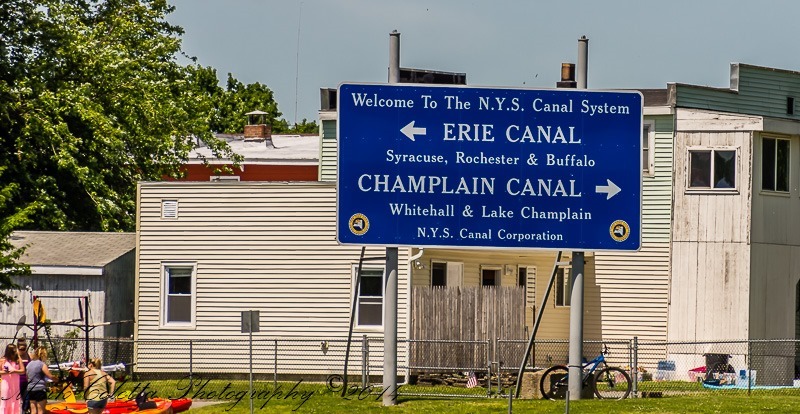 Today we crossed Lake Oneida and proceeded westerly back into the Canal towards Buffalo. 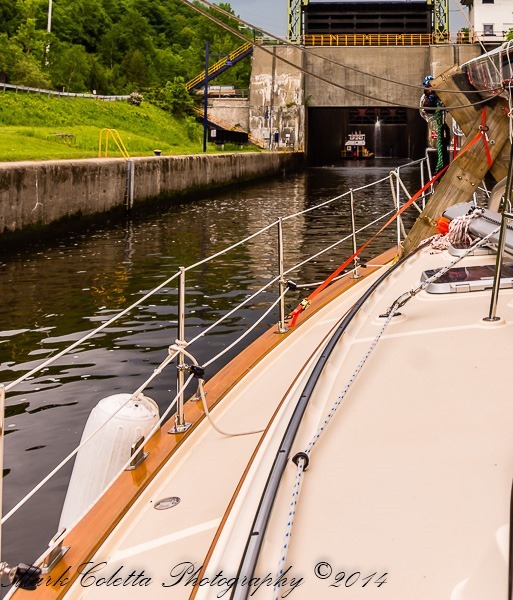 We are docked right next to Lock 24 at Baldwinsville, NY., the lock is right in the center of town.